Welcome to the Eze & Me website. 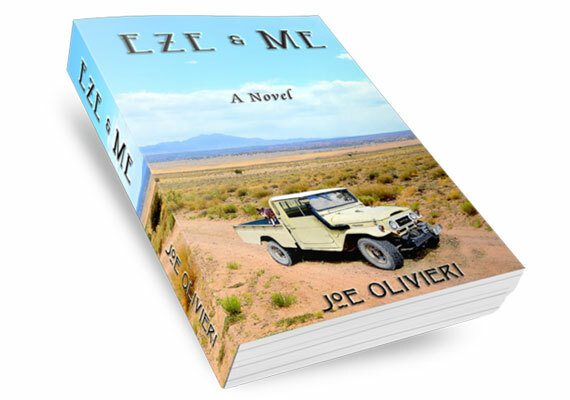 This is an interactive site dedicated to the launch of my new novel Eze & Me. This is an Epic novel and when available will be between 100-120 chapters (500-600 pages). It will be divided into (3) Sections, with 30-40 chapters in each Section. The novel is a work of fiction, but many of the locations, and scenes can be visited in person. Some no longer exist, and others never did. I am “Posting” Complete Chapters for FREE to generate interest in the novel before publication. New Chapters will be released each week, until the Publication Date. About two-thirds of the novel will be published here and available for FREE! There will also be photographs of scene locations, artwork, and other information posted in the Portfolio. Please post comments, ask questions, share with your friends, and “Like” our page on Facebook. All comments are welcome, as long as they are respectful. You can disagree, or not like something, and post it. Criticism is welcome. The site will continue to change, each week until the novel is released. The chapters within the Blog are in DRAFT form and may change slightly for publication. Paperback copies will be available on this site, Amazon.com, and CreateSpace.com. eBooks and Kindle will also be available, and an audio version is in the works. The target launch is this Fall (2014).